Fox is probably trying to draw attention away from their new, ridiculously terrible posters for X-Men: First Class by releasing a new image from the film. 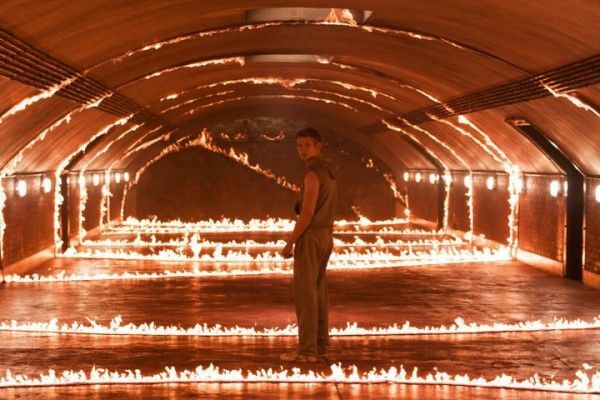 The image shows Havok (played by Lucas Till) in a room consumed with strips of fire. It’s an interesting looking visual and contrasts well against the blue room seen in the previously-released official image. Hit the jump to check out the new image. X-Men: First Class stars James McAvoy, Michael Fassbender, January Jones, Rose Byrne, Oliver Platt, and Kevin Bacon. It opens June 3rd. Image via the film’s official Facebook page.